Cleaning is officially cool. Thanks to the likes of Japanese tidying guru Marie Kondo, decluttering is no longer a tedious chore but a means to reach enlightenment via neat folding. Meanwhile, Queen of clean and Instagram star Mrs Hinch has amassed a whole army (Mrs Hinch’s Army) of followers who hang on to her apron strings eagerly awaiting the next cheap cleaning hack. Spring is the perfect season to get on board with these trends or simply blow away the cobwebs of winter, do some much-needed sorting and decluttering and clean up. Decluttering is not only good for our homes but is proven to be good for our mental health too. Clutter and disorganisation can lead to stress so a good clear out can genuinely make you feel better. You can start by working out which things are genuinely useful and those things that bring you joy. Everything else should go. Do you need 50 cups in the cupboard or 100 glasses? Likely not. Give whatever you can, clothes not worn for a year, old toys, even food cans that you’re unlikely to open, to charity. Of course, giving in this way offers an extra feel good factor, and it benefits someone else too. Recycle whatever you can’t give away. For example, broken crockery can be used in garden pots to aid drainage. If you have an allotment patch or live near one, you could even give the excess away to help the green-fingered in your community. Now that you’ve cleared your house of everything unnecessary you can organise what’s left so it’s always easy to find and accessible. In the kitchen, hooks for utensils and even cookware are useful, if you want that stuff on show, as are space racks and carousels. Zoning your items by their use is also essential. The big spring clean should be a deep clean. 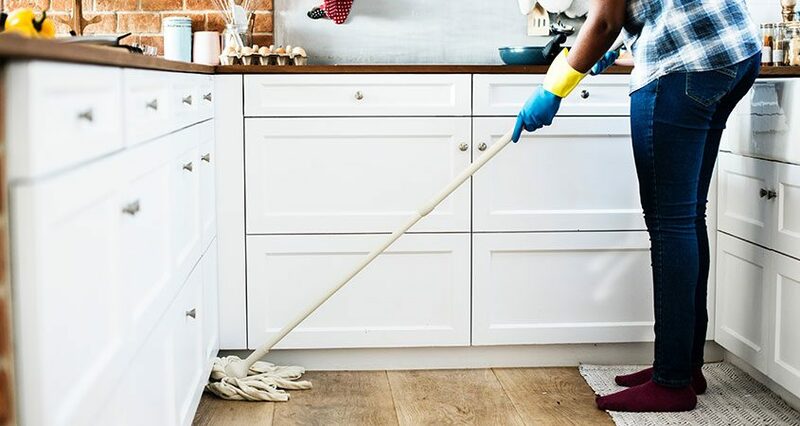 In addition to your regular dusting, look for those places not often reached with the duster such as skirting boards, behind furniture, in the corners of ceilings, air vents and blind slats. Similarly with vacuuming and cleaning – vacuum and clean behind furniture and appliances, clean the oven perhaps. You could also clean your newly-organised kitchen cupboards and their contents so everything shines. Now is also a great opportunity to clean the upholstery, curtains and rugs. Fabric sofas and curtains and rugs can be vacuumed and steam cleaned, while leather might need a good polish and condition. Why not use some of that unwanted crockery to some pots and plant some spring bulbs? Spring is a great time to inject some colour into the garden and a pot or patch with wild flowers will be appreciated by the early bees and butterflies too. If you live in the south, you will likely suffer the effects of hard water so descaling will be important too. The kettle, sink, taps and shower heads will likely all benefit from a descale and you may also think about descaling your toilet, dishwasher and washing machine. Finally, and perhaps most importantly, think about when your boiler last had a service. Is it time to schedule one in? If so, give Diamond Gas & Heating a call today on 01329 234 111 where a member of our friendly customer service team will assist you.